Ready Artwork has emphasized the importance of Social Media for business as well as choosing the right platforms. Once that has been established, it’s time to start thinking about exactly how you want to market your business on social media. Developing a consistent, effective voice for your social media campaigns will help engage your audience and enable them to fully understand your brand without losing them through capriciousness. 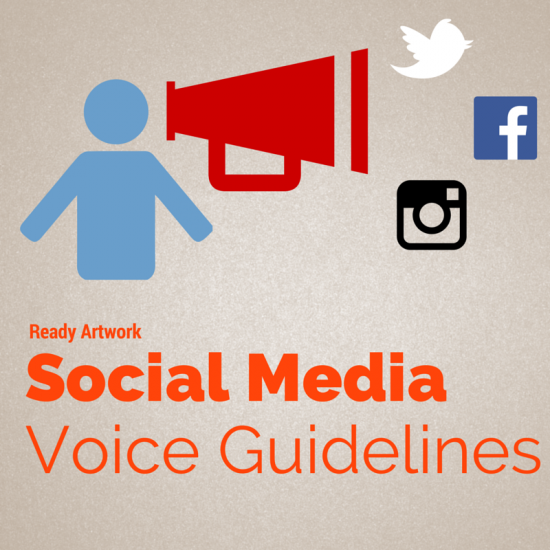 Use these social media voice guidelines to build up your brand. Forbes has done a great job explaining voice vs. tone. Put succinctly, you only have one voice but the tone of your voice changes given the circumstances or situation. 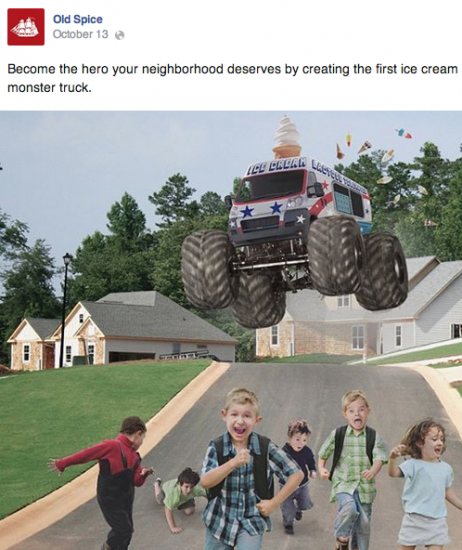 In any case, the brand made a concerted and focused effort to target their intended demographic. They have come quite a long way from being a brand intended for women all the way back in 1937. Old Spice’s Overall Voice: Silly, random, and entertaining. Space travel is fascinating but it’s not for everyone (Bart Simpson once dived across the floor and unplugged the television in order to escape having to watch another second of a “boring” space launch). 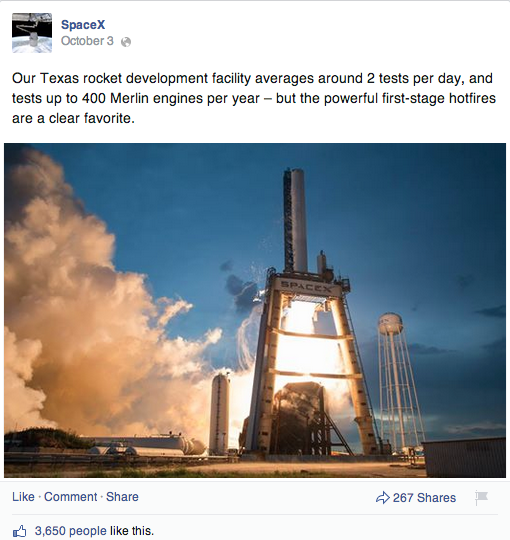 It goes without saying that SpaceX’s demographic is the older audience. Some of their posts do require a more advanced level of understanding of space equipment and technical terms such as the ones listed above. Throwing the word “cool” in there makes the post a little more descriptive and does not drastically change the overall voice of the brand. Notice how the tone can change depending on the post. SpaceX’s Overall Voice: Straightforward, informative and consistent. Now with your target audience and consistency in mind, you should always be speaking to your audience. There have been a number of intriguing psychological social media studies performed over the years. Social feedback for one, leads to a greater sense of belonging. A social media platform for your brand or business is a great way to build up a community. Another study discovered that talking about one’s self triggers the same sensations of pleasure in our brains as food and money! Engage your audience by asking them questions. Allow them to give you their opinion and value it. Creating a thriving community while giving members an opportunity to give their input and opinions and building up your brand in the process is a win, win, win situation. 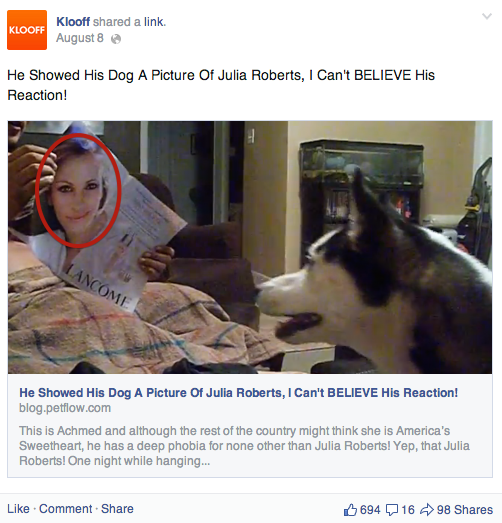 Facebook recently made an effort to suppress ‘clickbait’ articles. For a period of time on social media, clickbait articles and headlines were running rampant. It was an effort to get people to click on their content and even trying to trick Facebook’s algorithm. As a result, it caused some brands to change their post’s voice and consistency. It’s extremely tempting to click on the post given its structure and potential content but the headline creates some confusion. Brands should not be referring to themselves as “I” unless it’s an individual, an actor or athlete etc. The reader understands that it’s a brand and clicking through to their website shows the team that manages it. It’s extremely unclear who “I” would be in that instance. Leave out the ambiguities and keep the audience in mind at all times. 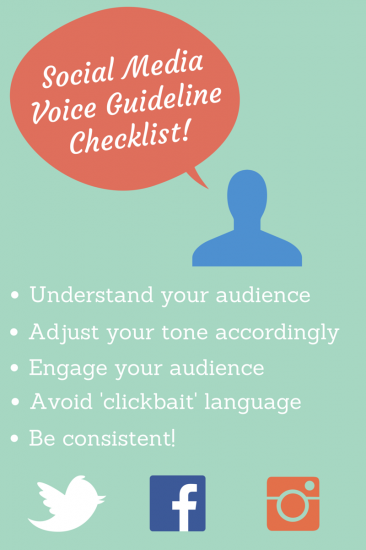 Establish your brand voice and fully understand your audience. Adjust the tone of your voice accordingly while always keeping point number 1 in mind. Engage your audience and build a welcoming community. Avoid changing your brand voice and tone for the sake of ‘clickbaiting’. Above all else, be consistent once you’ve established your target audience and social media voice. Social media may sound intimidating at first but it’s time to conquer your fears. If you correctly harness the power of social media, the possibilities for your business are endless! If you would also like to learn more about social media management, brand building or any other marketing related services, contact us or give us a call at 626.400.4511.